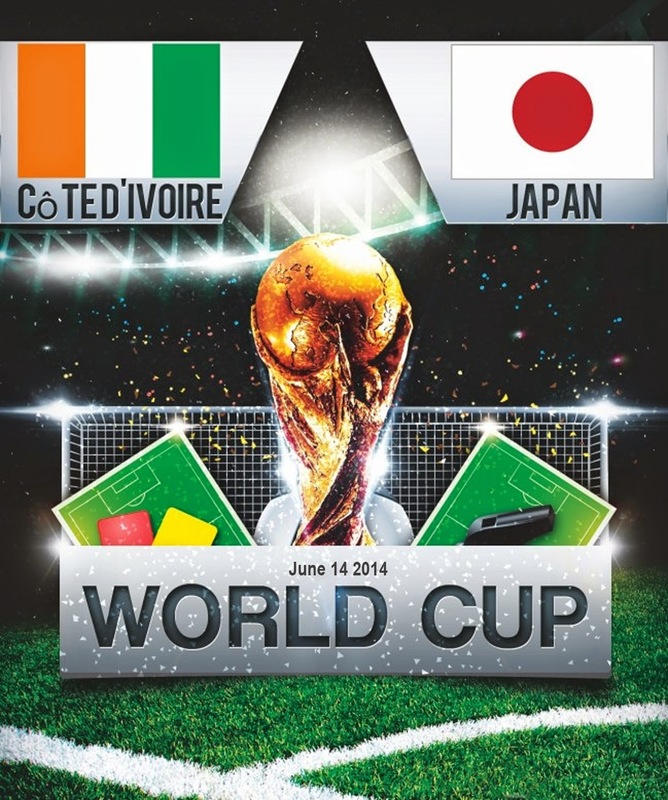 In the 4th game of FIFA World Cup 2014 the late kickoff on Saturday night we had Japan taking on Ivory Coast in the Group C game to be played at Arena Pernambuco, Recife. 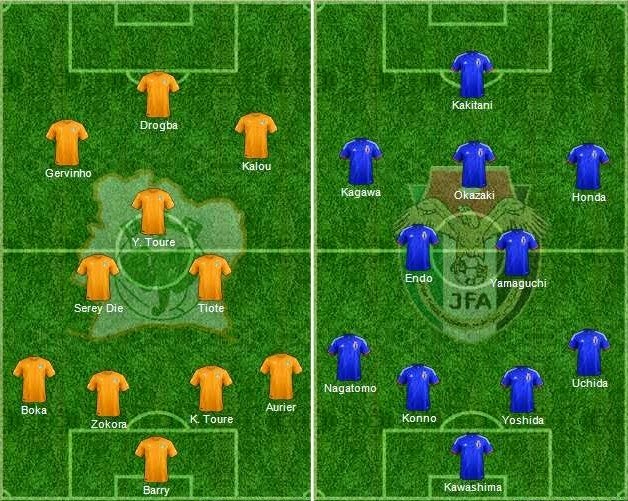 Below is the predicted lineups of both teams, Drogba will be starting upfront with Kalou and Gervinho supporting him in attack while Yaya Toure, Tiote and Sere Die will make up the central midfield, Japan on the other hand might go with Kakitani upfront on his own whole Kagawa, Honda and Okazaki playing in attacking midfield roles. Endo and Yamaguchi will be sit deep in midfield. A tough game to predict, Japan have quality players going forward but their defence will be a worry while Ivory Coast have Drogba upfront, Kalou and Gervinho in the attack so they do have goals in them. Yaya Toure will be the key player in this game, if he gets going Japan will find it hard to cope with african’s pace and power.